As our family of Orgain products continues to grow, my mission will always be the same - to create the most nutritious, certified organic products in the world. After trying nearly every greens product on the market, none had the perfect combination of organic nutrition and incredible taste...until now. 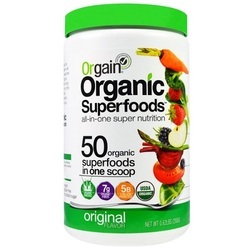 Introducing Orgain Organic Superfoods.